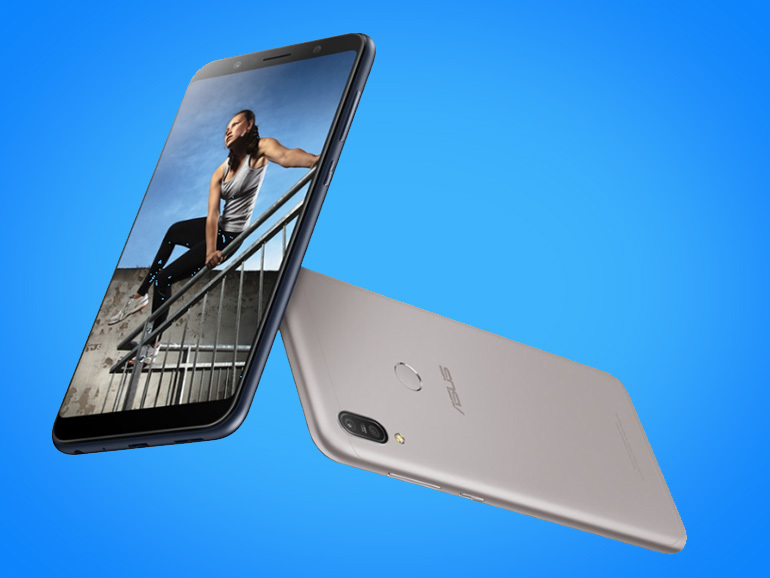 The ASUS ZenFone Max Pro M1 4GB is now only PHP12,995. Features 5,000 mAh battery, Snapdragon 636 processor, 4GB RAM. If you’ve got your eye on the ZenFone Max Pro M1, then now maybe a good time to get one. ASUS dropped the price of the smartphone to PHP12,995. The phone was originally priced at PHP13,995. The ASUS ZenFone Max Pro M1 4GB features a monstrous 5,000 mAh battery. It comes with a 6-inch 18:9 full HD+ display, an octa-core Qualcomm Snapdragon 636 processor, 4GB RAM, and 64GB storage. In the photography department, this variant sports dual 16MP + 5MP cameras at the rear, and an 8MP selfie shooter. The icing on the cake (in my opinion), is the stock Android that comes with it. It’s fast, clean, and for the most part, bloat free. 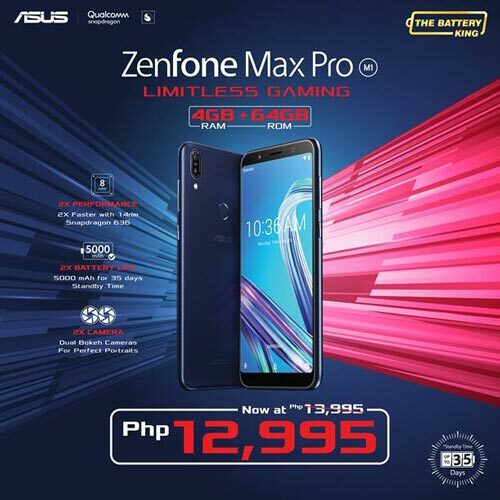 The ASUS ZenFone Max Pro is available in any ZenFone Concept Store, Kiosks and ASUS PH E-store.